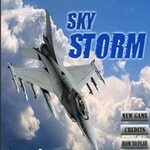 In Sky Strike your aim is to successfully complete all 5 levels. To achieve that collect fuel cells and points. Keep your energy by collecting fuel cells and avoid contact with deadly obstacles.